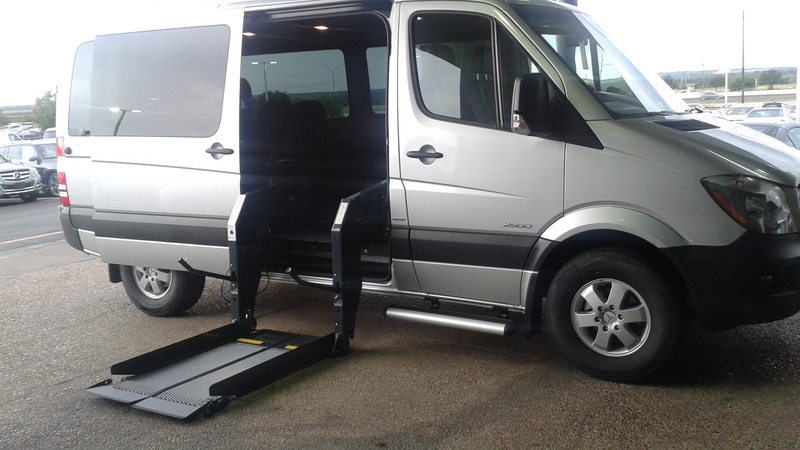 Mobility & Wheel Chair Accessible Van Conversions – Dave the #NVguy now at Garlyn Shelton Nissan in Temple Texas, is your Nissan Fleet and Commercial Sales Specialist. 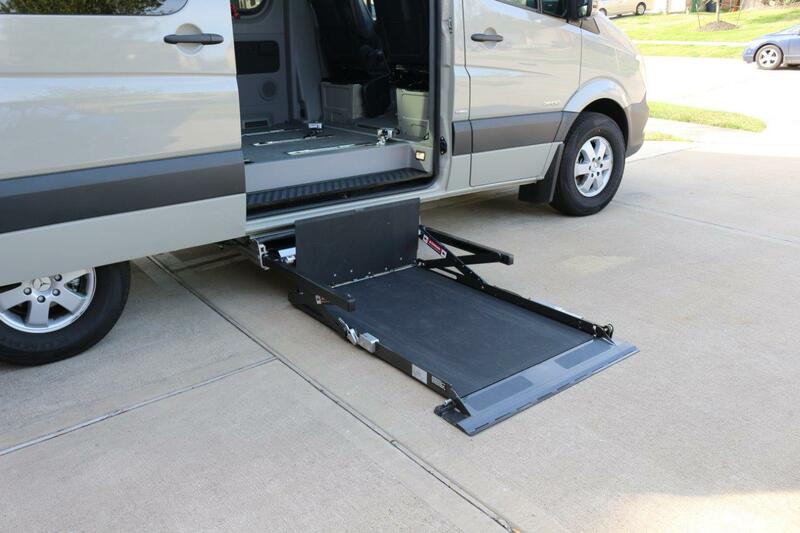 Nissan NV Vans make a perfect vehicle for anyone who requires special accommodations for handicap or mobility type conversions. First of all, it’s the safest full size van you can purchase. It has many Nissan safety features built right in. Things like Stability Control to make sure if you have to make an evasive maneuver the van will maintain control and allow you to keep going down the road. Nissan NV vans have – Anti-Lock Brakes (ABS) All Wheels, Brake Assist (BAS), ESP/ESR (Electronic Stability Program), Three-point Seat Belts for Driver and Front Passenger, Driver and Passenger Airbags, Daytime Running Lamps, Keyless Entry (Remote Lock & Unlock), available Anti-theft Alarm System and much more. 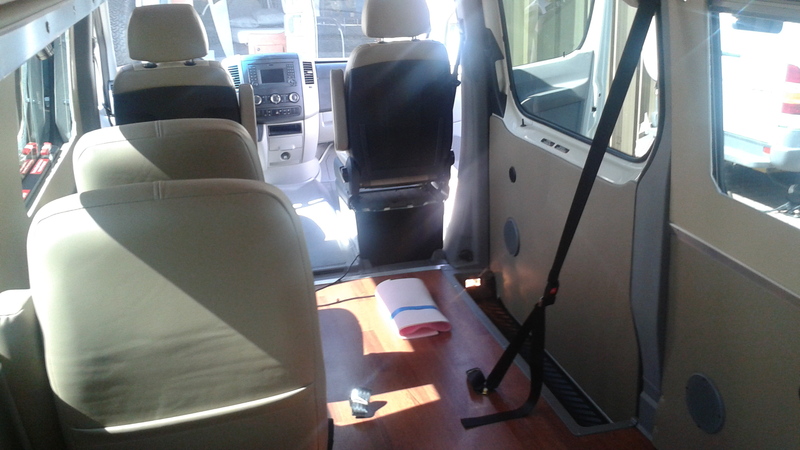 So as you can see, with our Best in Class Nissan NV Van you will be able to easily navigate in and out with the large side and rear door openings. 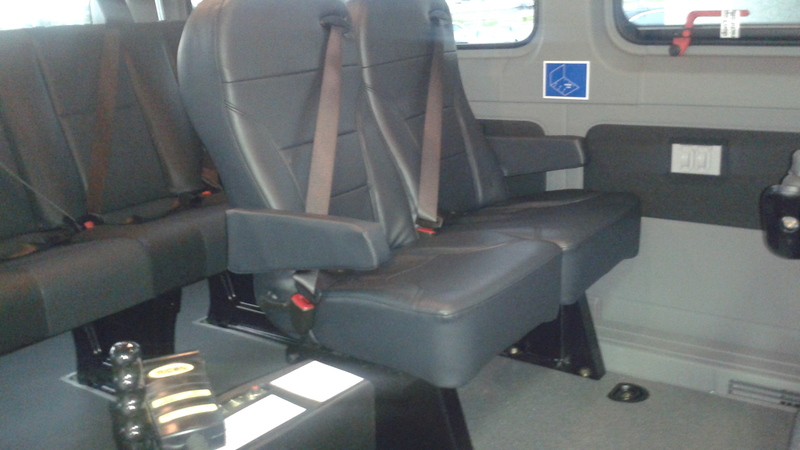 We have built over 20 vans with wheel chair or mobility accommodations in the past 8 years. We have used both the standard roof and high roof vans. 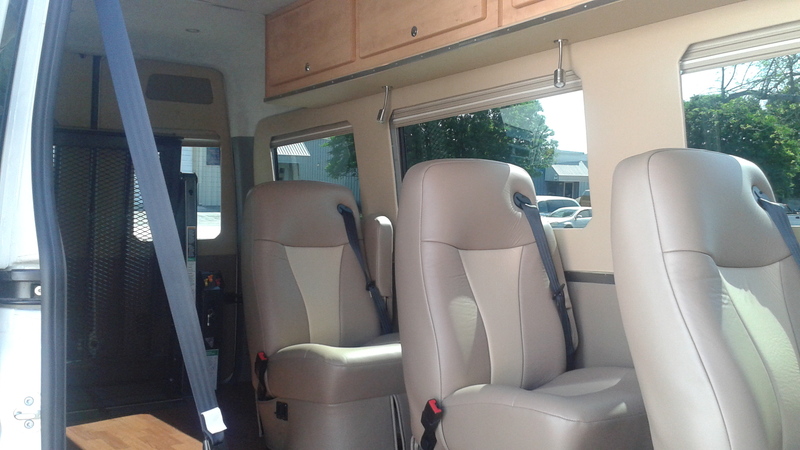 Also we can use either a factory passenger van or start with a cargo van and have a custom interior built just to your specs. Some folks have wanted a rear door wheel chair lift while most use a side entry. 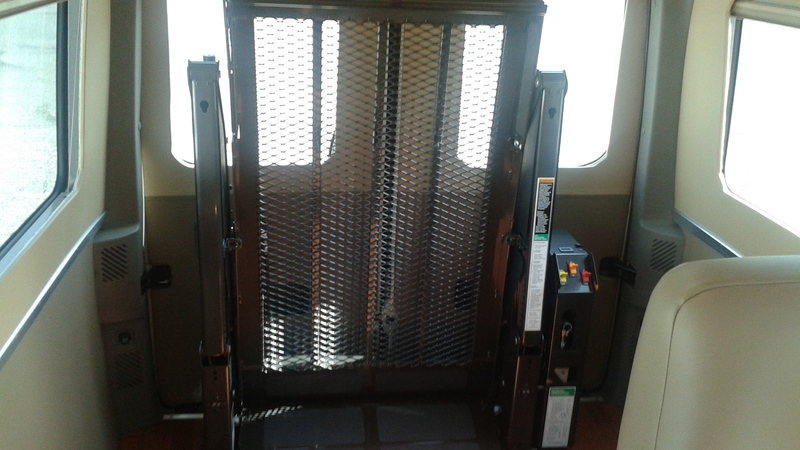 On the side entry we have units that have the under floor type of lift or different makes of side door lifts to fit your needs. 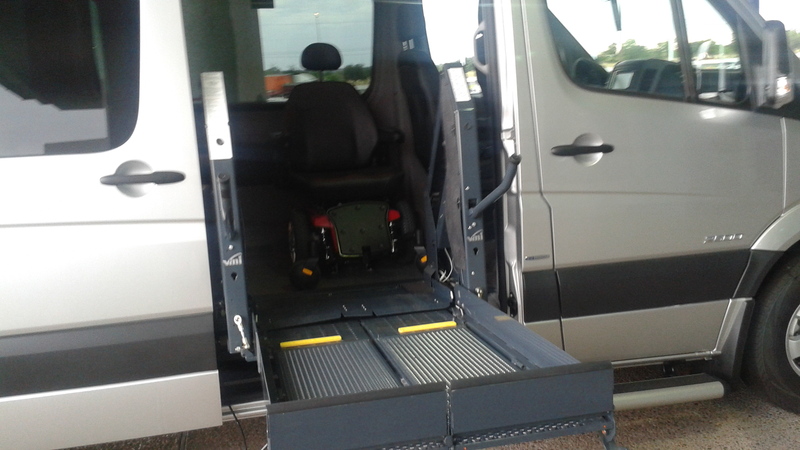 Most of our work to build these vans for our clients have been with Austin Mobility in Pflugerville Texas. They offer many different products and are ready to assist you in choosing the correct build for your needs. Here is their contact info. 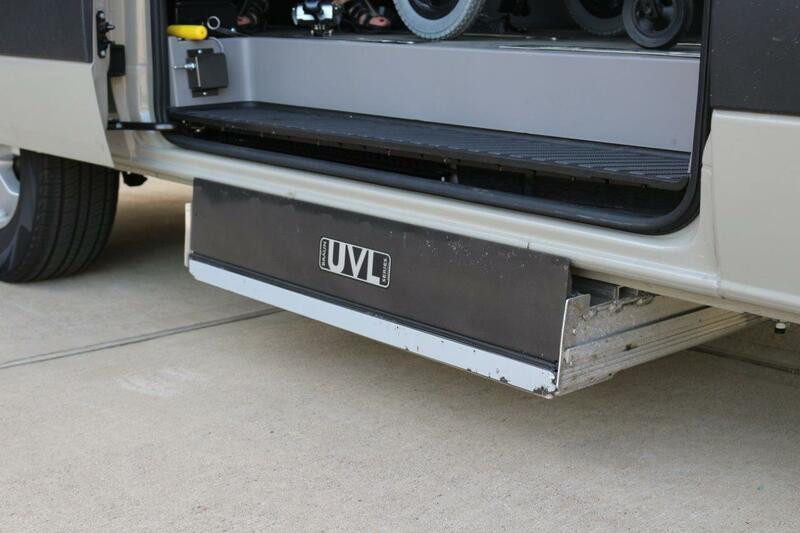 Custom vans that we have converted with wheel chair lifts run in a range of $45,000 to $75,000 including the lift. 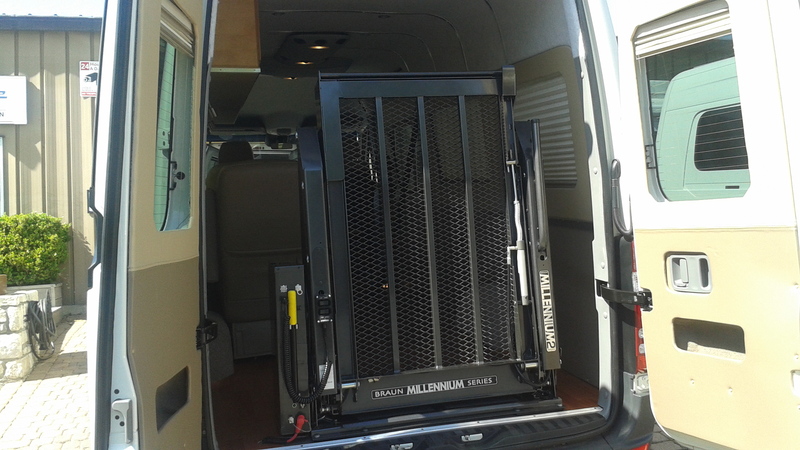 The Nissan passenger van that we use in most cases will cost between $38,000 to $48,000 plus the cost to convert. We can still maintain additional seating for 6 to 10 in addition to the area set up for your wheel chair depending on which size NV van we use. We can install power sliding side door mechanism with remote controls if needed. If you live in Texas, we can assist you in getting the entire purchase sales tax exempt with a form signed by your Doctor. We also have financing available through Nissan finance and in some cases can include the costs to convert the van to your custom specs. 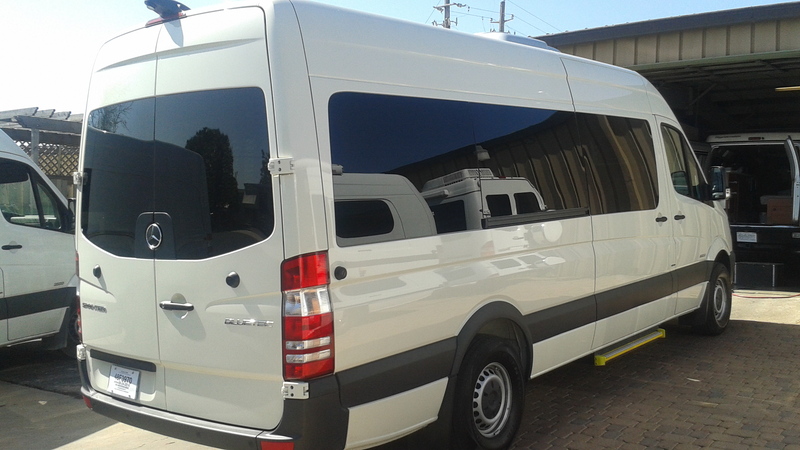 Here are some pictures of vans we have built for our customers. Let me know what questions you may have and what I can do to assist you. Thank you for visiting Dave the NV Guy. My husband and I are looking to buy a sprinter wheelchair accessible van that is used , however we would consider purchasing a new one as we have 2 children in wheelchairs, my son has mobility so he is able to get in an out on his own but my daughter requires her electric wheelchair to come and go her chair weighs 350 pounds would we be able to have a sprinter can accommodate our needs right from the factory? We would like a side entrance and windows and one we can fully stand up in, hope to hear from you thanks for your time! I will send you my reply by regular email. Hello, sir. My wife and I are in the beginning stages of looking for vans like this. We have never purchased a van like this. Do these vans come from Mercedes like this? Do we buy it first and then convert it? Is it a package deal through the dealer? Thank you for contacting me in regards to mobility vans. 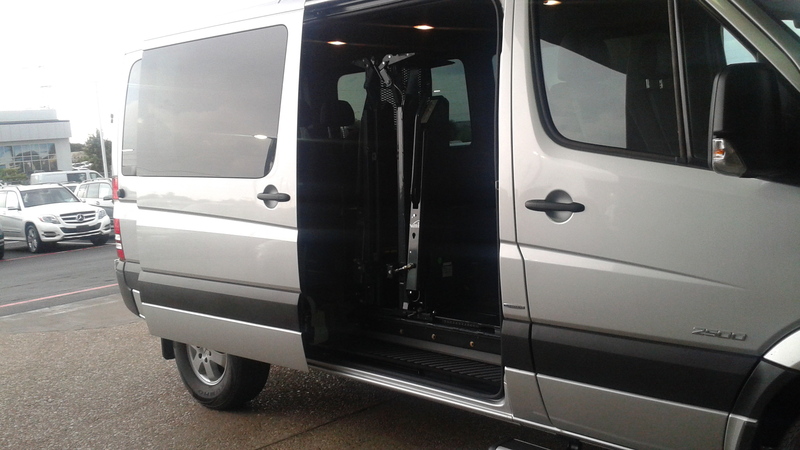 I have assisted well over 20 customers in the past 5+ years to build a Sprinter van with wheel chair lifts and mobility upfits. 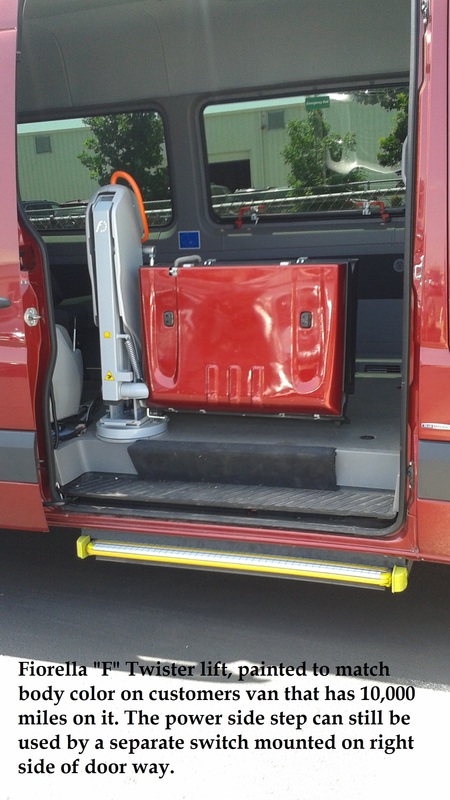 What I do is work with local mobility providers who have lifts available to meet anyones needs. 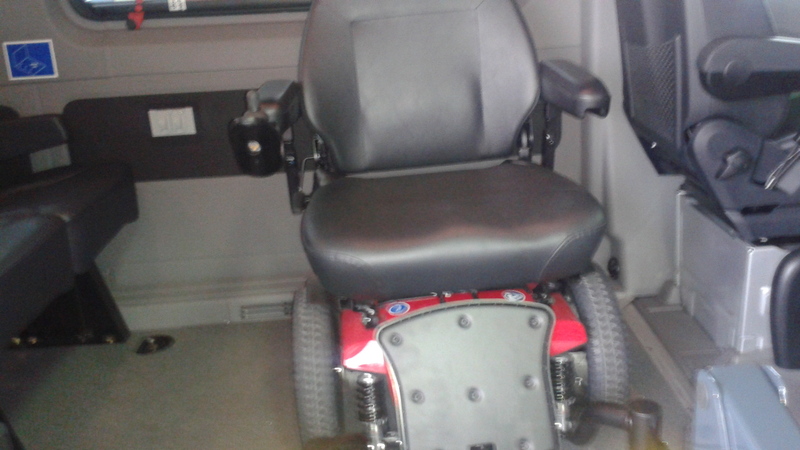 We sometimes need to do some changing of the interior to fit wheel chair positions and maintain additional passenger seating, we can do it all for you. 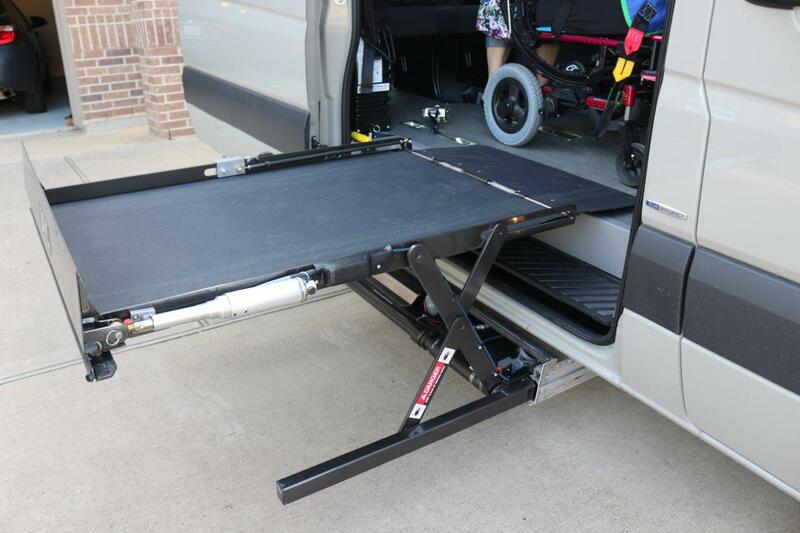 I also have used a wheel chair lift vendor in Ft Worth, so what we can do is figure out which van works best for you then send it to them to get the upfit done. That way you are close to the shop who will be doing it for any future adjustments. 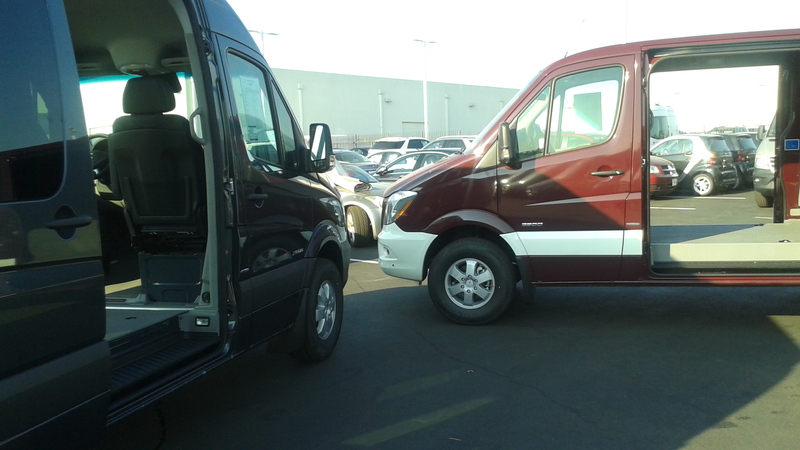 Have you ever looked at our Sprinter vans before? Maybe you could give me a call and we can discuss what we have available and how we can get the van fixed up for your needs. We LOVE the idea of sprinter’s 4×4 option, we live in the mountains, and want to be there as much as we can. Ramp, or lift or some sort of access. Tall ceiling- which Sprinter already has! I need to be able to stand up- but I am not terribly tall- we are all as average as they come- so I think the regular raised roof would be sufficient. Reasonably comfortable extra seating- most preferably two captains chairs, one for my daughter and one for my dad. 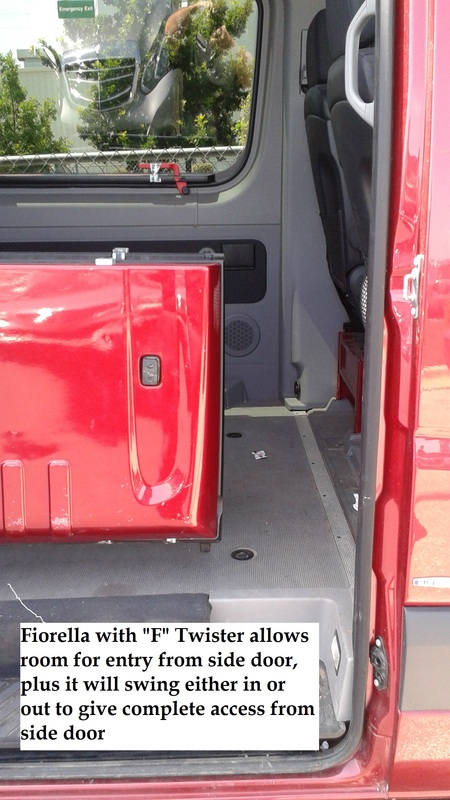 Storage that would allow me to leave medical supply storage in the vehicle= cabinets, drawers, or whatever. Could you give me some ideas about how to go about a conversion like this? Or some rough estimates about what it would cost? 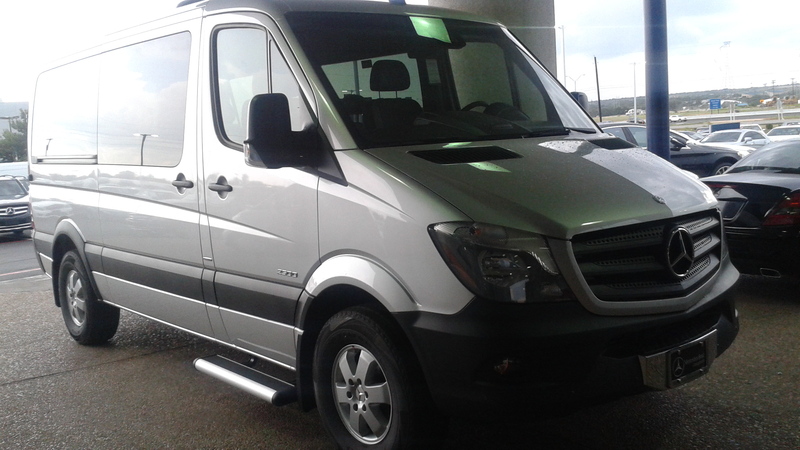 Thank you for your interest in a Sprinter van for your son. 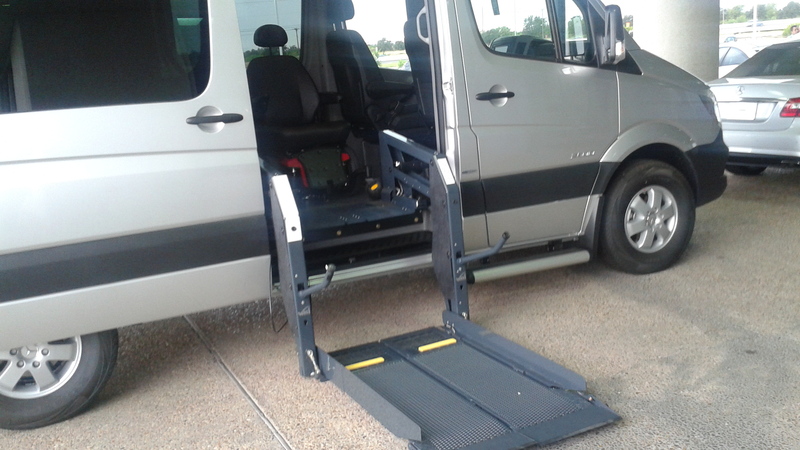 I have assisted well over 2 dozen folks to get a Sprinter upfitted with wheel chair lifts and all of the items you mentioned. 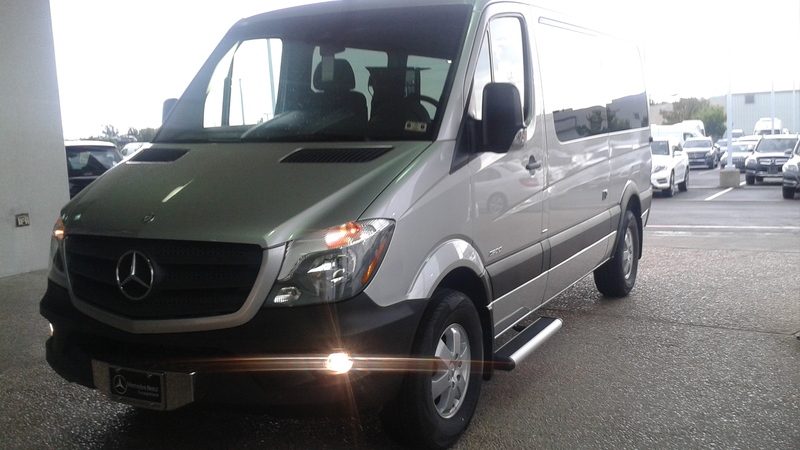 Sprinter 4×4’s are in short supply, but we can get one as long as you are in no hurry. Probably will take 7 to 8 months just to get the van built as a 4×4. The conversion can be done by folks local to us here in Austin Texas. Depending on what model van, what options and if you get a 2 wheel drive or a 4×4, the van itself will run in the $50,000 to $60,000 range. 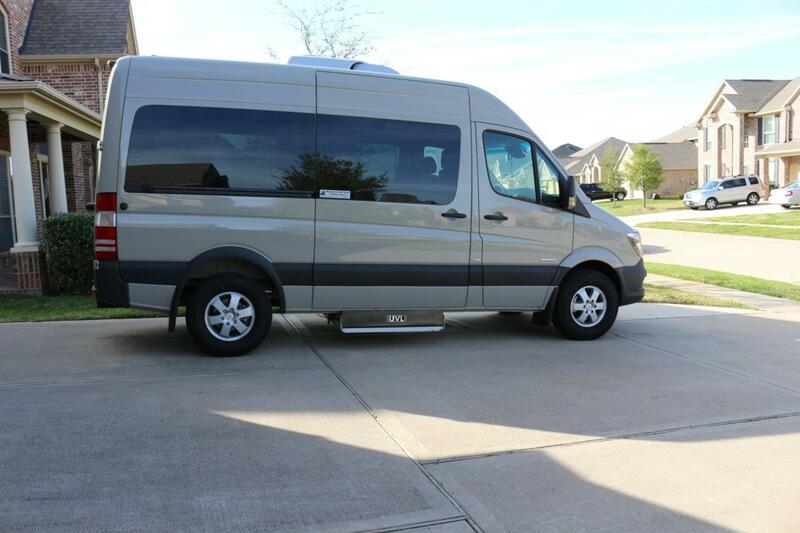 We do have some of the Sprinter basic cargo vans that would be in the upper $30’s but that is just an empty shell with no interior or windows. A typical wheel chair lift will run in the range of $8500 to $14,000 depending on size and style. 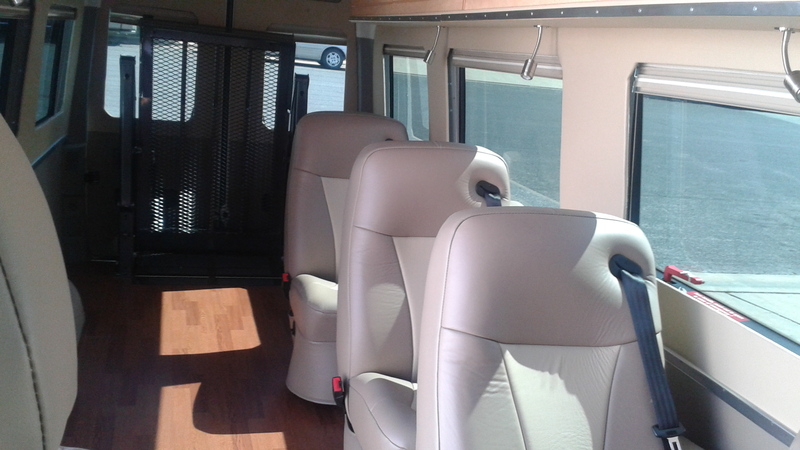 The other conversion items to make it a custom van fit for your needs will run in the $15,000 to $25,000 range. I would love to assist you in your build and I will do everything I can to make it affordable for you. Let me know if this is what you want to do and we can get started building your new Sprinter van. 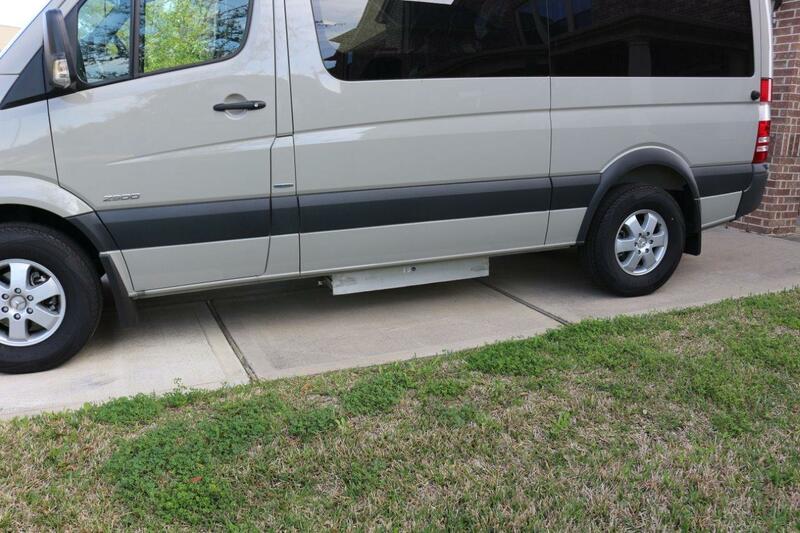 I have read online posts indicating for passenger safety the Sprinter passenger van has more sidewall reinforcement than the cargo van. Is the mobility option a passenger or cargo van variant? 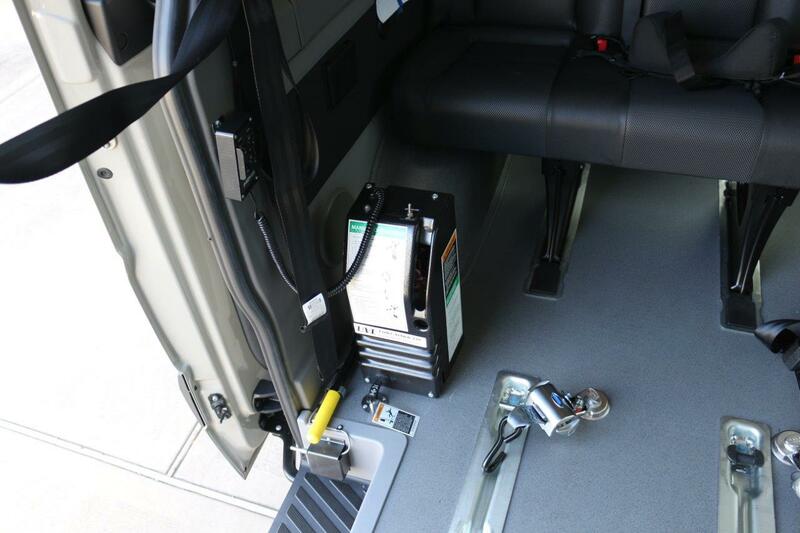 Thank you for your question about the safety of our Sprinter vans. 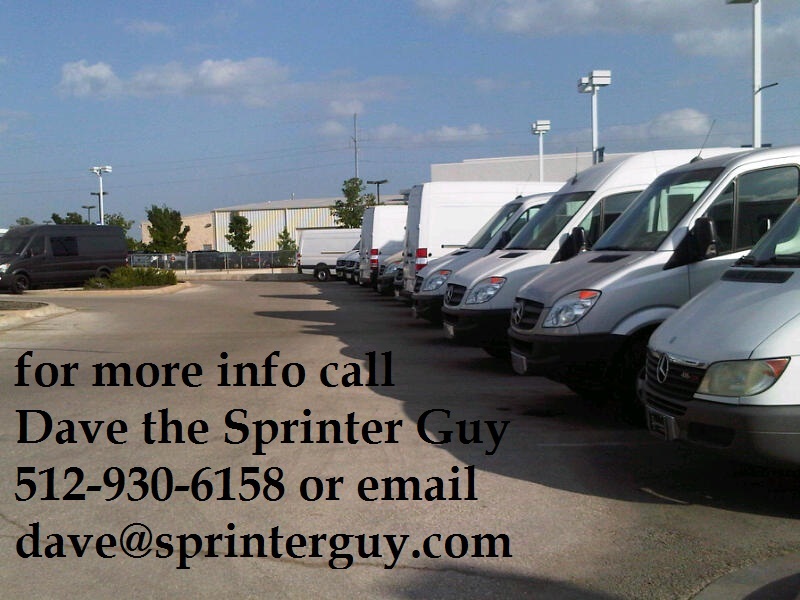 In 7 years working with Sprinter vans, I have never seen any information to the contrary or to confirm what you saw. I would like to know what articles you read so I can see if there is any truth to this theory. 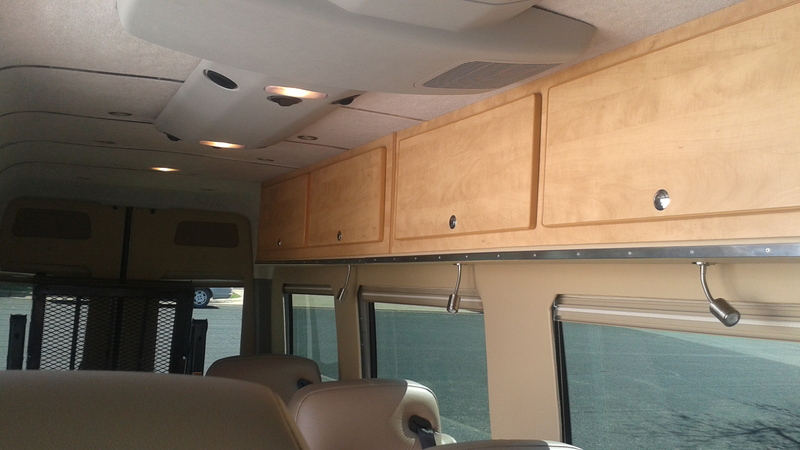 I really do not know of any difference in the sidewall reinforcement between our cargo or passenger vans. My belief is all Sprinter vans have the strongest and safest construction for any full size van. 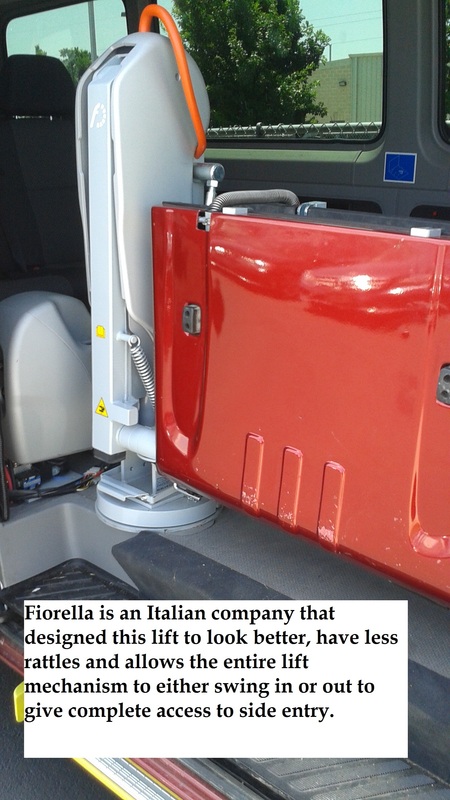 I have personally seen Sprinter vans that were involved in accidents, and you could see how the occupants were kept safe from the strength of our vans. 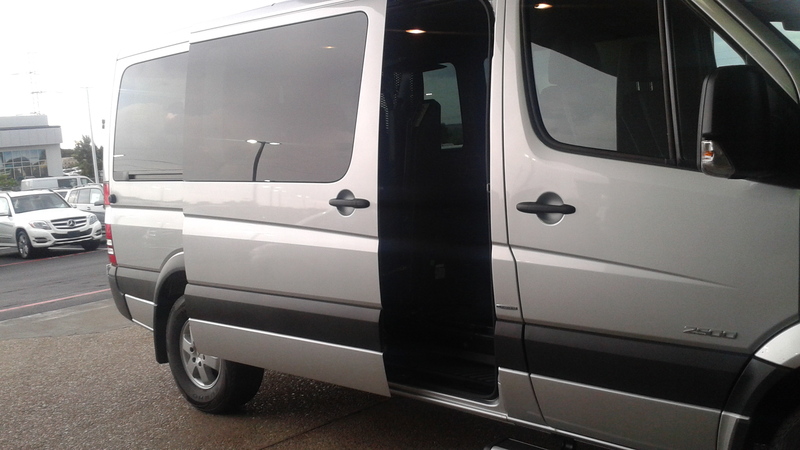 Thank you for considering our vans for your needs. 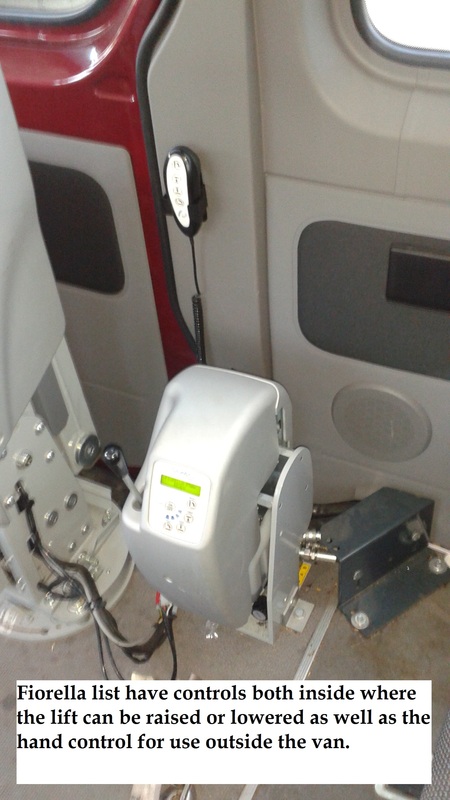 I have assisted well over 2 dozen customers in getting wheel chair lifts installed on Sprinter vans they purchased from me.